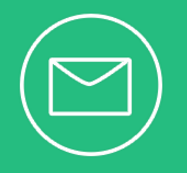 An email list is a heart of any marketing strategy. 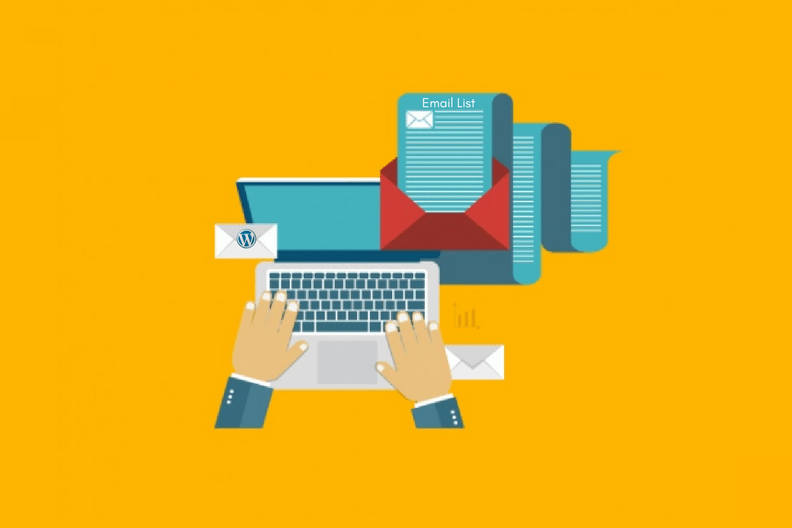 Growing your business means building a comprehensive email list on your WordPress website. Moreover, it should be your top priority. Why? With a constantly growing email list on WordPress, it becomes easier for you to increase website traffic, get additional social shares to your blog posts, boost your revenue, perform better targeting, etc. Building an efficient email list on WordPress takes some time and efforts. The good news is that this process can be eased up with the help of plugins. Thus, this article will cover the information on how a WordPress website owner can quickly and with fewer efforts build an email list. As the matter of fact, people have a tendency to check their emails more carefully than for instance their social media updates. Thus, there are high chances that your emails will reach out to your users. By using emails you can send some particular information about your geo-specific product or service to specific contacts in that peculiar location. With the help of emails, you can have the guaranteed reach, the attention of your customers and the ability to hit more specific targeting. And all these things together mean a great boost in revenue. 1. The very first thing to do is to find a reliable email service provider, so that you could know for sure that your emails reach your subscribers’ box, instead of being marked as a spam. There are plenty of companies which specialize in email delivery. These are the most popular ones: iContact, Constant Contact, MailChimp, Campaigner, GetResponse, etc. 2. After having signed up for an email service provider, you should integrate email subscription forms all through your WordPress website. 3. Next step is to increase the number of your subscribers. Choose the right WordPress plugin and the perfect place for the form on your site. Thrive Leads is considered to be the most popular plugin in the market for building an email list on WordPress these days. It provides the site owners with a vast amount of useful features required to compile a great list of subscribers. Thrive Leads enables you to add different types of opt-in forms to your site. With a drag and drop option and lots of templates for each form, it is possible to create a unique opt-in form and place it wherever you want. Its feature called ‘Smart Links’ enables you to display a different CTA (call-to-action) to already subscribed users. Thrive Leads comes with the possibility to hide your premium content from unsubscribed visitors in exchange for their email. The same is about sending your users an e-book or other useful information for signing up – you can do this with Thrive Leads. Thrive Leads is a paid tool. Its price starts at $59 per year. OptinMonster one of the most powerful plugins with the help of which it is possible to add stylish pop-up forms to your site with no efforts at all. This plugin enables you to add custom forms within or below your content, posts pages, sidebar, etc. Moreover, it’s also possible to create slide-in option boxes and unblockable popups. OptinMonster allows you to display a YES/NO style buttons and also hide your premium content from your unsubscribed users. This plugin is perfectly integrated with WordPress CMS but what’s more is that OptinMonster can be used on any HTML-based platform. OptinMonster comes with a user-friendly interface. Plus, because of its ready-made subscription boxes, there is no need to have coding skills to create a subscription popup. Thus, within one app you are able to edit forms, deploy new ones, start split tests and monitor your progress. OptinMonster price ranges between $49/year and $199/year. SumoMe is considered to be a plugin for showing simple pop-ups but which look like premium ones at the same time. It provides the site owners with plenty of useful features such as the possibility to create elegant lightbox pop-ups which can be set to show up when the users are about to leave. SumoMe plugin is easy to set up and it can be used for free. WP Subscribe is a WordPress plugin for building an email list. It is free and limited in some features. For example, to be able to customize color, there is the need to dig into CSS. Consequently, coding skill is must-have while working with WP Subscribe. WP Subscribe can be used for free and it can be also upgraded for $27 in order to use its pro-features. Optin Forms plugin is a great alternative for those who don’t like pop-ups. It will place the non-obstructive opt-in forms below, on top of or within your post. Optin Forms doesn’t require any coding skills or knowledge to create amazing opt-in forms for your website. It comes with five opt-in form designs which are totally customizable so that you can build forms just the way you see it. It also should be mentioned that Optin Forms WordPress plugin can be used at no cost at all. All these WordPress plugins are really popular for good reasons. And whichever you choose, you will definitely increase your email list on WordPress, one of the most popular platforms to migrate to, according to CMS2CMS, automated migration service. So, build your email list, increase the number of the subscribers, and start to regularly engage with them. Oksana Chyketa is the Marketing Manager at CMS2CMS. Being a writer by day and reader by night, she enjoys spending her time behind a computer working towards the effective branding solutions, writing a vast range of engaging content and developing the company’s marketing strategy. She is a quick learner, a good team player and full of fresh ideas.